The picture provided the complete Inflatable Golf Simulator Building.The entire structure one piece in that inflation is all necessary for install.The material we used PVC tarpaulin which mesh reinforced inside and both side PVC coated.It is waterproof,UV resistant and flame retardant.So the sides fully enclosed with netting and tarp to keep out wind and rain. 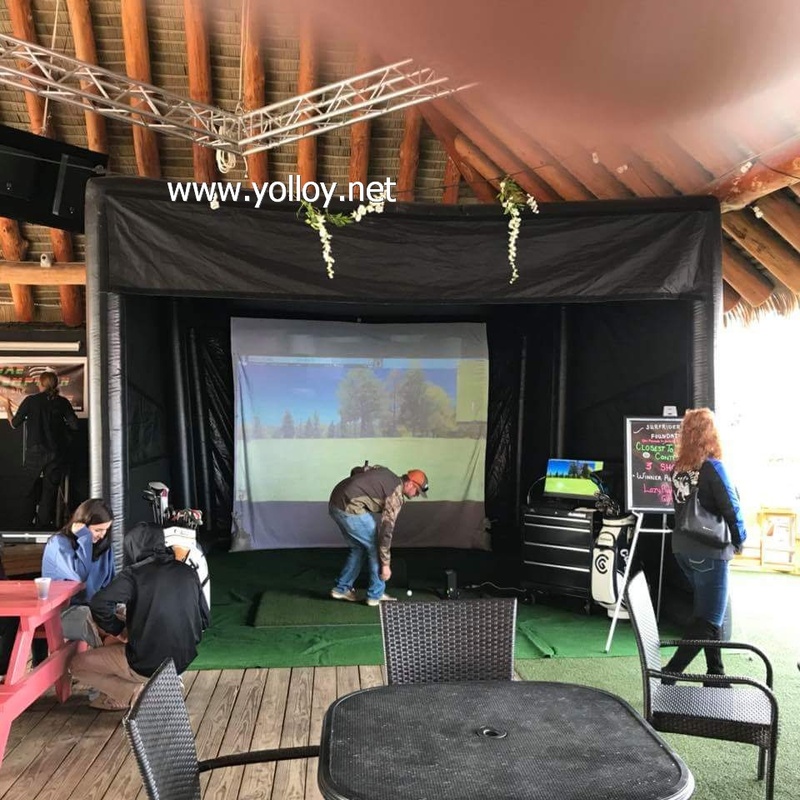 This is our USA customer feedbak, This is nice of Inflatable Golf Simulator Building. Inflatable Golf Simulator Building would be set up at the Cape Fear Beer and Wine Festival in the Wilmington Convention Center. Come out and saw us while enjoying some of the best wine and beers Wilmington has to offer.